Bring the ultimate in luxury vehicles to your little one with the McLaren 570S Push Sports Car by step 2. This modern and stylish kid’s push car features the innovative design and styling of today’s McLaren 570S sports car. 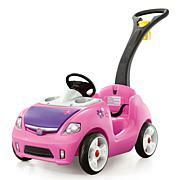 Mini speedsters will have a blast as they accelerate full speed through corners with the quiet-ride Whisper Wheels™. While shifting gears, junior car drivers can use the interactive steering wheel to rev their engines. This dream car is sure to turn heads on long walks through the neighborhood or park. Made in USA of US and imported parts. Adult assembly required. 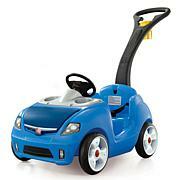 Manufactured under license from McLaren Automotive Limited. The McLaren name and logo are registered trademarks of McLaren. 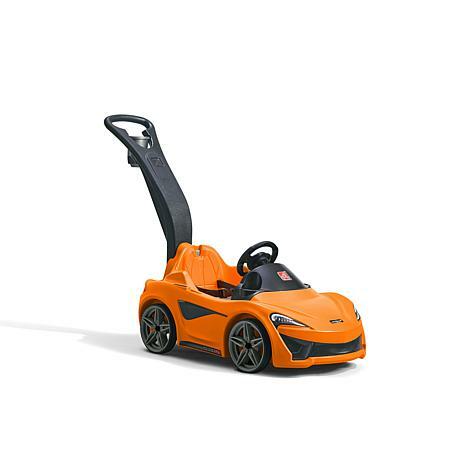 Ultimate kid’s push car features the realistic design of the McLaren 570S sports car. Interactive steering wheel allows little ones to rev their engines with the electronic sounds, just like the 570S! Glide through turns with the ultra-quiet Whisper Wheels™ design. 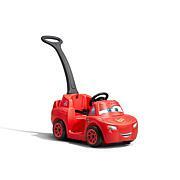 Take your dream car on the go by folding the oversized handle underneath for easy storage and quick transport. 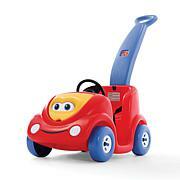 Stow your little one's favorite toys in the under-the-seat storage for those long neighborhood walks! This kids sports car features two driver cup holders and the adult push handle features a swivel cup holder for mom or dad. Maximum push car weight: 50 lbs. (22.68 kg). Requires 2-AAA batteries, not included. Item dimensions: 35.75x19.75x47.5 in. Age range: 18-48 months. Limited 3 year manufacturer warranty 800-347-8372.